Colleen and Babz shared a special connection. They worked together numerous times, and Babz mentored the younger actress. In Babz’ last days, Colleen went to her apartment and sang for her, and performed at Babz’ memorial. Since then, her band, No Sinner, has taken off exponentially, creating a deep and loyal fan base, touring, and releasing an album and two videos. 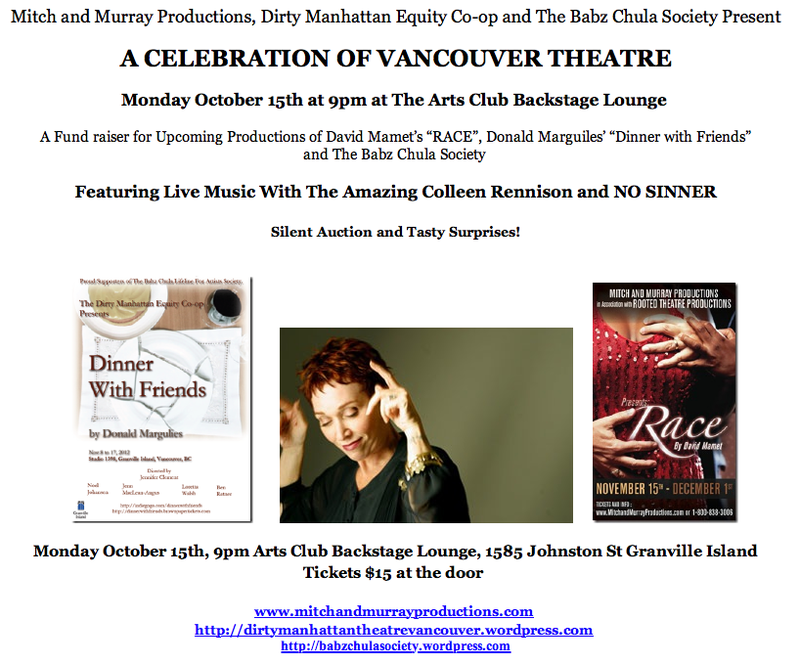 On Monday, October 15, No Sinner will be playing a fundraiser concert at the Backstage Lounge on Granville Island. The proceeds will go to two theatre productions: Dinner With Friends (starring Ben Ratner, one of Babz’ dearest friends), and Race, as well as the Babz Chula Lifeline for Artists Society.